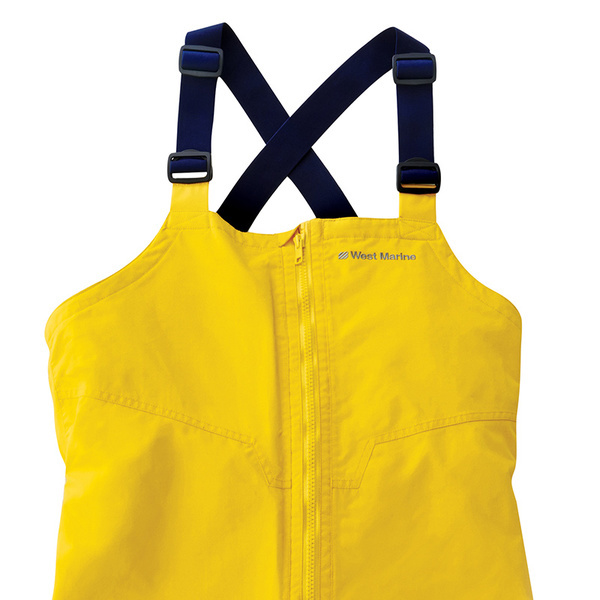 You’ll feel dry and comfortable longer out on the water with our newly re-designed Third Reef Bibs! We’ve improved their 100% water- and windproof nylon fabric that’s coated with a Durable Water Repellant (DWR) finish and fully seam sealed. Although they’re now more waterproof, they’re still breathable so they won’t feel soggy on the inside when your activity level increases. Plus, we improved the fit and added more chest coverage with a higher cut. Adjustable pant cuffs, elasticized back and waist and shoulder straps provide outstanding comfort. Reinforced seat and knees. Other features include a non-corrosive center front zipper and a fast-draining, quick-access leg pocket. Imported.